Please fill in the short form below with your question, either about the Koden MDC-900 Series Radar, or for some technical advice. Please include details of your vessel if you feel they will help us answer your query. The Koden MDC-900 series radar is an 8.4" high performance colour radar which features sophisticated signal processing, of the kind normally found in larger professional grade radars. The Dual Range Display feature lets you view split-screen display of both long and short range targets simultaneously. 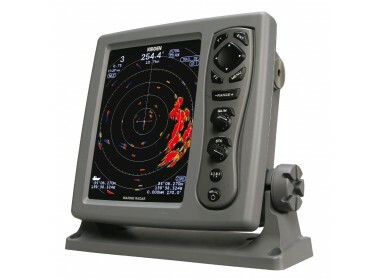 The True Trail function shows exactly the movement of other vessels like drawing trails, while land and boys are shown as stationary objects even while your vessel is moving. This make it easy for you to distinguish moving from stationary objects. 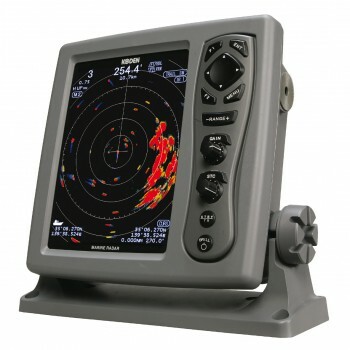 With up to 50 targets, the latest movement of other vessels can be shown instantaneously in vector form and numeric form ensuring safe navigation. Shows up to 100 targets when connected to an AIS receiver.